In the recent Incident of the Abandoned Ford Thunderbird, the Sooke resident who found the abandoned car, complete with registration papers, in the woods near Bear Creek posted a scathing rant online and notified police. Instead of immediately fining the car’s owner under the conservation and motor vehicle acts, the RCMP turned the incident into a learning opportunity. They gave the owner a choice: remove and properly dispose of the vehicle within a given timeframe, or face fines of up to $3000. The related media and online coverage served to remind us all of the laws against dumping garbage and unwanted goods on private and public lands. 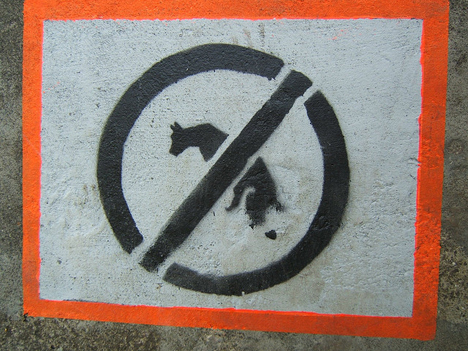 The Capital Regional District defines illegal dumping as any activity by which waste materials are intentionally disposed of in an unauthorized location. 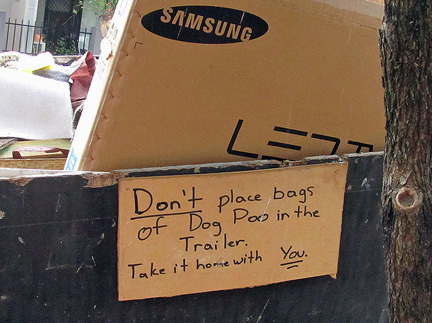 This includes abandoning used goods on sidewalks, in alleyways and other public spaces. It includes the dumping of waste on logging roads and other rural spaces, and other ways of ridding oneself of garbage at another’s expense. A 2011 survey of the region’s municipalities, recycling depots and non-profit recycling organizations indicates the most common materials illegally discarded here are furniture and mattresses, and the most frequent locations are along municipal boulevards. I beg to differ. Far fewer sofas, mattresses and so on are left to rot along the region’s roadways in any given month than bags full of dog doo are left to decorate the bushes, trees and trails of our parks and green spaces….